A few years ago, just before I had Cal, we were invited over to dinner by some of our friends, Andrew & Laurel Newton. Andrew and I were friends in college and grew up as kids together and Laurel and I had known each other in Junior high and High school. I like to take credit for their marriage since I was the one that lined them up on their first date in college. They have always been really great friends of mine, and so it was fun to see them again and catch up. They told us a little bit about an online shop that they were going to start up called Galley & Fen and we talked a little bit about their logo, because I have somewhat of a background in logo design. I knew then, knowing their combined talents in design and attention to detail that they had something special. Now about 4 years later Galley & Fen has grown into a unique curation of English Home & Kitchen accessories. Laurel came over to my house the other day with her sweet baby James and let me grill her on how she came up with the design for all of their copper products and how Galley & Fen came to be. Laurel is an interior designer and loves all things design. About 5 years ago she was working in commercial design and not totally loving it. She thought, what if I took all my time and everything I’ve learned and put it toward something I actually like? She had noticed, in working for clients, that copper is really hard to come by and that if you can find it it is insanely expensive. 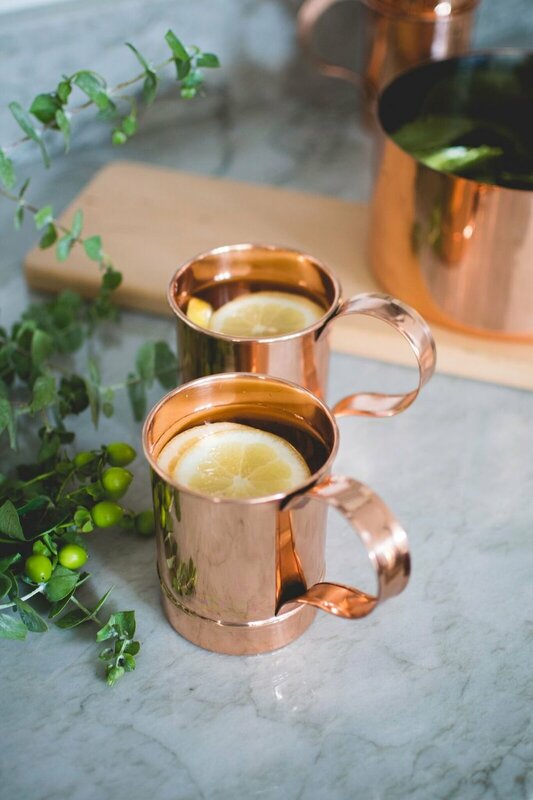 What if they sold a line of copper that was beautiful but also affordable? With Andrew’s help, she immediately went to work designing and working with suppliers to make her idea a reality. 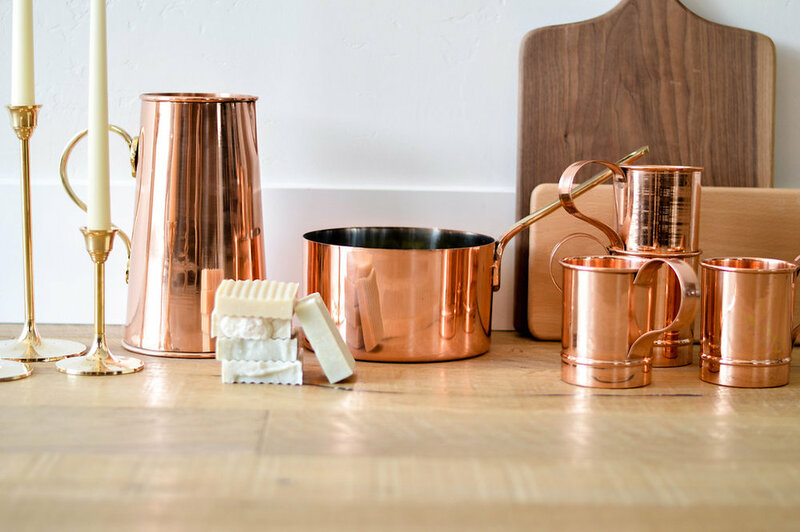 And so Galley & Fen was born: Affordable and beautiful copper ware. 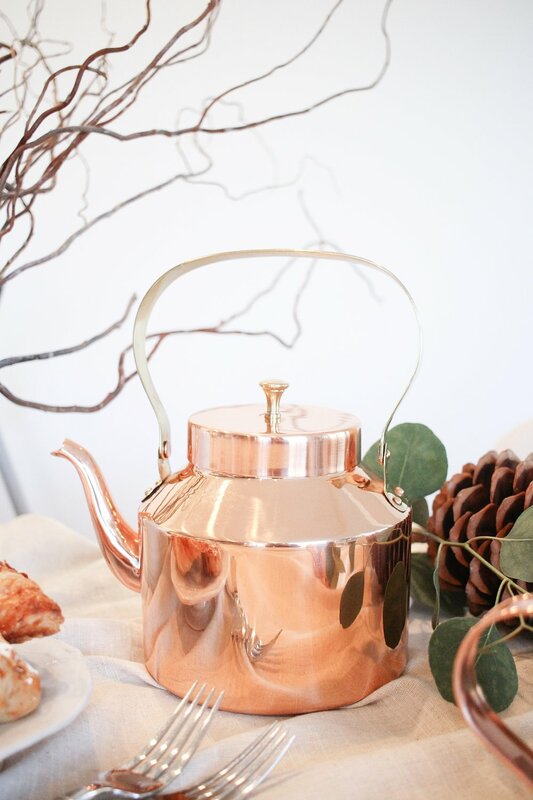 This copper pot and water pitcher were some of the original products they sold. They have since added other beauties like this platter and other items for the kitchen. You know those shops where you go in just to see what’s new and you want everything in the store? Laurel wanted to create a shop like that and I think she did it. I love things that were lovingly and thoughtfully made and talking to Laurel she really does have such a passion for everything in the shop. I love that. If you want some special home goods this really is such a fun place to get something unique and noteworthy. *By the way this post isn’t sponsored or something. I just really do think Laurel’s designs are so beautiful so I asked her if I could feature them.